Zipline Adventures, Canopy Tours, and MORE! Enjoy a one-of-a-kind family destination at Anakeesta! The Smoky Mountains are a place for adventure and relaxation, exploration and wonder. A place where people of all ages can discover nature and family entertainment. 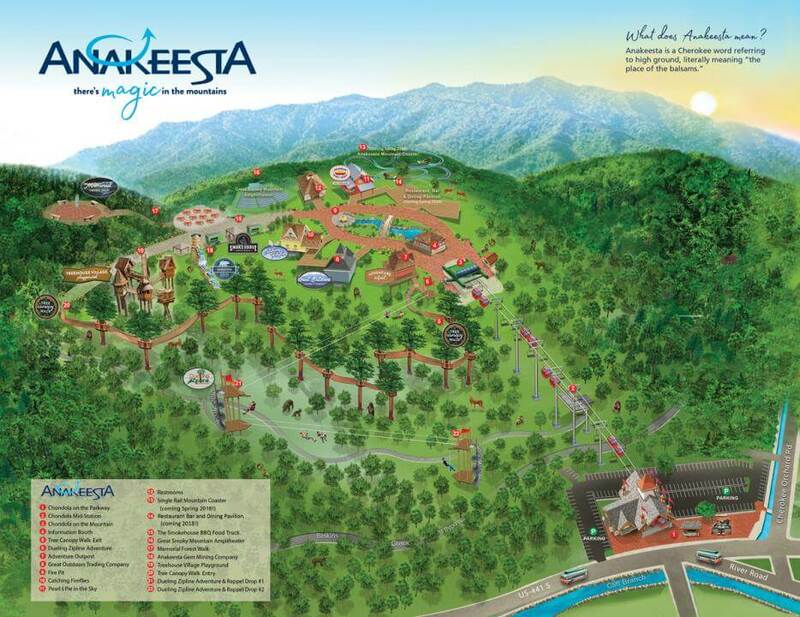 You and your family will find lots of fun things to do in the Great Smoky Mountains at Anakeesta. 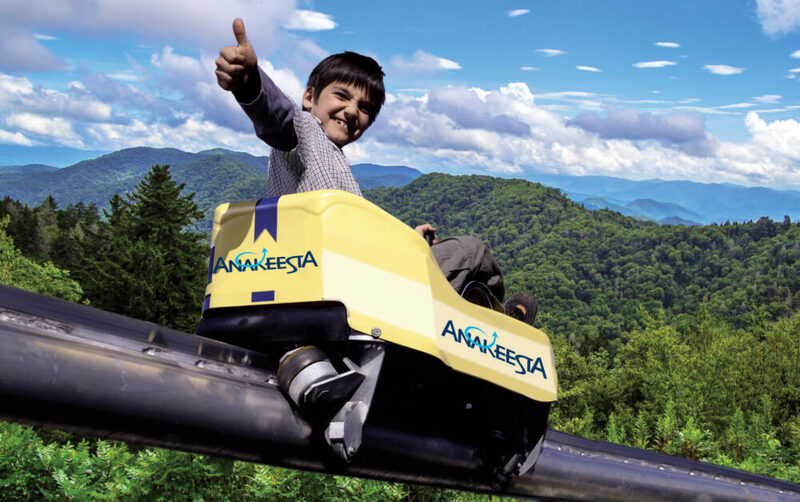 Our good friends at Anakeesta provide tons of options for those looking for things to do in Gatlinburg TN. 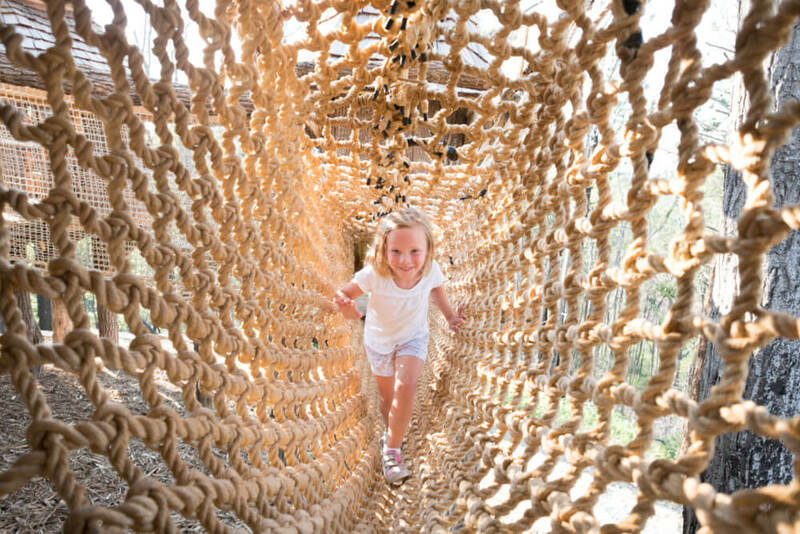 Included in the price of admission is Anakeesta’s Chondola ride, elevated 16-bridge Tree Canopy Walk, Children’s Treehouse Village Playground, Memorial Forest Walk with interpretive signs, shopping and dining opportunities at Firefly Village. Zip through the treetops on Anakeesta’s two unique ziplines. 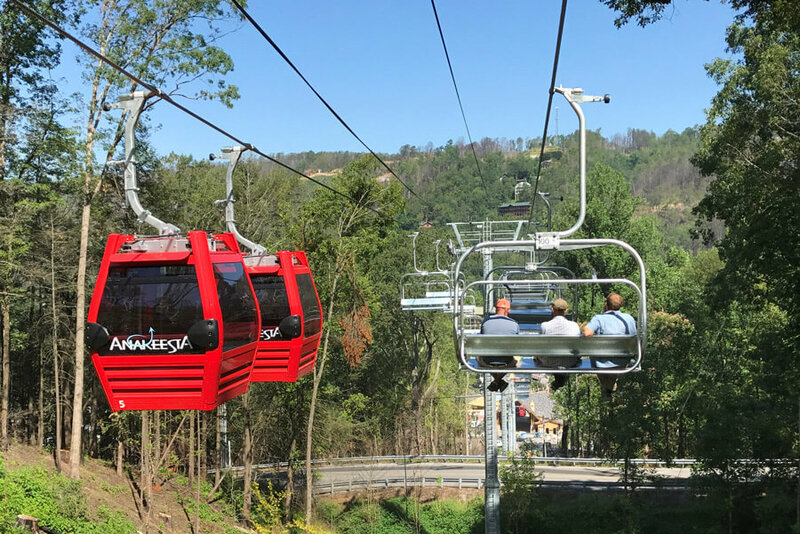 Stretching high over the forest floor, each zip is over 1,000 feet in length and will give you beautiful views of the Smokies while zipping right next to friends or family. 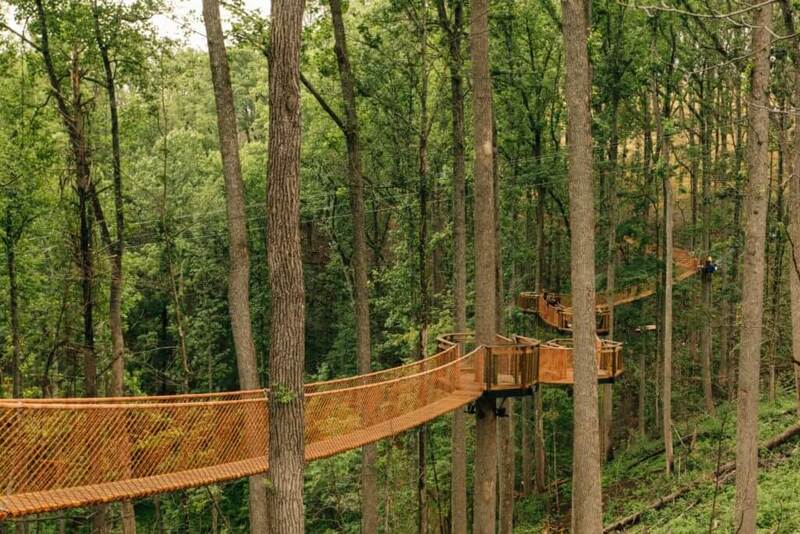 Immerse yourself in the beauty of nature on our scenic Tree Canopy Walk. 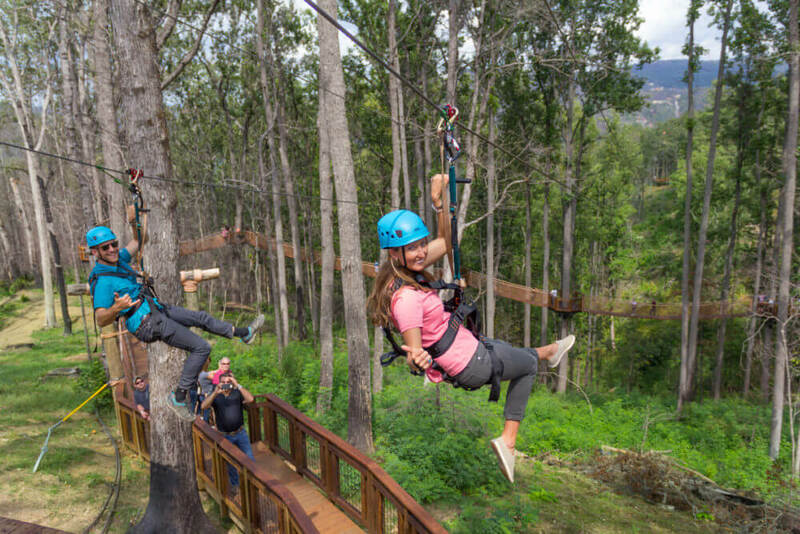 Experience what it feels like to be a bird in the canopy as you stroll 40’ – 60’ above the forest floor along a series of 16 connected sky bridges suspended in the trees. Children of all ages will love playing in the trees in this whimsically themed treehouse village interconnected by multiple bridges of varying challenge. Physical and educational elements designed to build strength and confidence will surprise guests at nearly every turn. The Anakeesta Scenic Chondola is the first of its kind to be built in the United States! Choose to ride in an open air 4-person chair with safety bar or select an enclosed gondola cabin with seating for 6. Soar above the City of Gatlinburg and enjoy the spectacular views from above. Anakeesta’s new single-rail mountain coaster will be the first of its kind in the United States! As a single-rail line, riders can ride lower to the ground on a single track creating a thrilling and unique experience as you race through the trees while flying down the mountain. Strike it rich at the Anakeesta Gem Mine! An interactive waterfall and sluice allows kids of all ages to search for that special gemstone or fossil. 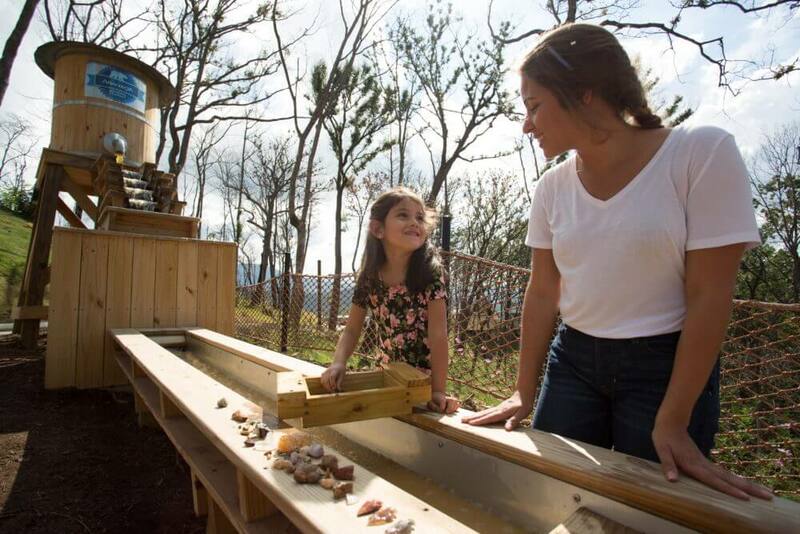 Located at the end of the Treetop Canopy Walk and adjacent to the Treehouse Village Playground, Gem Mining is always a fun family activity.